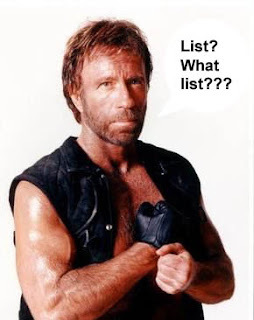 Two Pennsauken, Pennsylvania high school students were arrested for allegedly putting together a hit list that included fellow students, a school staff member, and Chuck Norris. The students were placed in protective custody, but police admit that there is little they can do should Mr. Norris decide to punish them. "We put the kids in a specially-designed 'roundhouse-kick-proof' room. Unfortunately, it's only been tested by normal karate experts. We doubt very much that it would stand up to Mr. Norris' patented kicks," stated a Pennsauken police official, who requested that his name be withheld so that Chuck Norris doesn't find out who he is. When asked what the police would do, should Norris arrive and the protective room fail, the official replied, "Get the hell out of the way... what do you think? These little bastards brought this on themselves. We've got spouses and kids of our own who don't stupidly threaten Chuck Norris." Local officials have asked Jesse Jackson, and ex-presidents Jimmy Carter and Georger H. W. Bush to negotiate on behalf of the doomed youngsters, but all have declined, agreeing that, "There's no point in getting massacred for nothing." Las Vegas oddsmakers are offering 1-7 odds that the juvenile delinquents will meet their demise at the end of one of Mr. Norris' boots. A local coroner stated, "We haven't put 'death by roundhouse kick' on a death certificate since the Walker, Texas Ranger 'Broken Sternum' fan tour of '93, but it looks like we're going to have to pull that one back out again."